One last reminder: you can still join Seth, Jeremy, The Voice of Reason, other Twins Daily folks and me at the Diamond Awards this Thursday night. Just sign up and in their "comments field" tell them that you want sit at the Twins Daily tables. 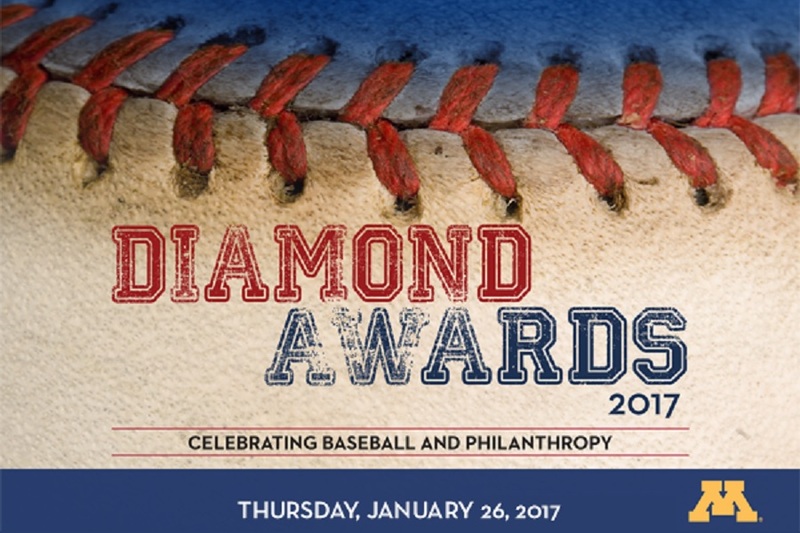 Join Twins Daily writers in fighting some terrible diseases by attending the 2017 Diamond Awards. Seth, Jeremy and John will host as many tables as we can of Twins Daily members for this fantastic fundraiser inside Target Field. First, buy tickets to the 2017 Diamond Awards. It’s awesome, truly a bucket list item for Twins fans; just check out the photos and video. It’s the night before Twins Fest (January 26th), so it’ll be a star-studded affair including an awards dinner celebrating the Diamond Awards winners, including Brian Dozier, Ervin Santana, Byron Buxton, Max Kepler and Terry Ryan. Tickets are $150 each but the proceeds go to the University of Minnesota to cure some pretty terrible diseases, like ALS (Lou Gehrig’s disease), ataxia, multiple sclerosis, muscular dystrophy, and Parkinson’s disease. It is a great cause and a fantastic time and Seth, Jeremy and I would love to share it with you. To join us, just write that you want to be at the Twins Daily table in the “comments” box at the end of the signup form. Or, if you’ve already signed up, let me know in the comments below and I’ll work with the organizers to make sure you are seated with us. We would love to get a big group together and talk a lot of baseball or get your thoughts on the site. This is truly a special opportunity to attend one of the Twins premier annual events that celebrates their team and their fans. Plus, it’s an exceptional cause and a chance to see the best of Target Field on one of the coldest weekends of the year. Let’s recharge our batteries and get ready for a great weekend and a great year together. If you have any questions or concerns, use the comments. But please click the link below and give it a try this year. You won’t regret it. Already bought a ticket, but would enjoy sitting with you guys! Cool. I'll let them know. We would like to join you folks at the Diamond Awards, if room is still available. My wife is a physical therapist who worked with last year's featured individual, Patrick Tyk who underwent the surgical procedure called deep brain stimulation to help treat his Parkinson’s symptoms. Nice when a date night combines our "Twin" passions for baseball and community service.